DC Comics Announces the Return of Milestone Characters Static Shock, Icon, and More! This morning, DC Entertainment Co-Publisher Jim Lee, producer/director Reginald Hudlin and Milestone Media co-founder/artist Denys Cowan announced the creation of “Earth-M,” the brand-new home to the “Dakota” universe of characters from 1993’s Milestone Media and a host of all new characters. This means that fan favorites such as Static Shock, Icon, Rocket, Hardware, and Xombie will return along with brand new heroes and villains, with the same kind of contemporary and socially relevant tone of storytelling that made Milestone such a groundbreaking imprint in the early 90’s. Up to two “Earth-M” hardcover graphic novels will be published ever year, in addition to a number of miniseries and one shot comics. An all-star ensemble of creative talent will bring the characters to life, including Milestone principals Hudlin and Cowan, as well as DCE top guns Lee and Geoff Johns. This agreement also means a revival of Milestone content as collected editions, both in print and digital format. 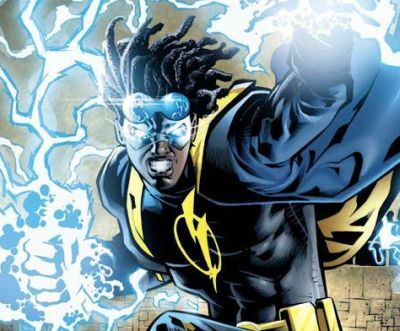 Original graphic novels, one shots and miniseries are just the first step in an overall Milestone revival, eventually expanding to include action figures and an upcoming Static Shock digital series.